Our technicians can provide and setup these brands as well as others. We want to be the company you call whenever you need help with your garage door opener, residential or commercial. 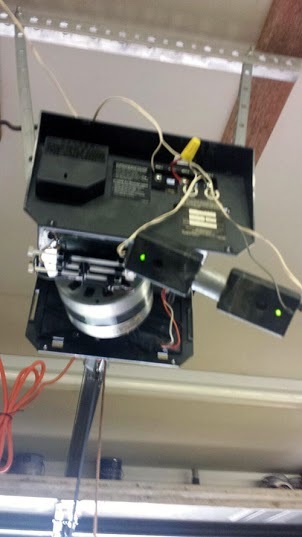 You will have advantages if you choose to repair a garage door opener. Not everyone can install a new opener whenever problems arise. We understand that. That is why we provide full service and maintenance on many brands of garage door openers. We can handle the repairs no matter what sort of opener it is. Many homes have a chain drive opener. The chain will slip and it needs fixed. Some homes have a belt drive opener. The belt can snap or come out of alignment. Others have a screw drive opener. The screw can catch and refuse to move. You can prevent repair needs with proper maintenance on your garage door opener in Mt. Vernon. The simple fact is that routine maintenance can avoid many problems with your opener. Having an expert come out occasionally can save you a great deal of money in the long run. We can provide routine service on all brands of garage door opener such as Genie, Liftmaster, Chamberlain, Craftsman, Sears, and Marantec. Our technicians have training and experience with these brands and many others. We can keep your garage door running smoothly whether it’s a belt drive, screw drive, or chain drive. For a business, it can mean the difference between making a delivery time and not. For a residence, it can mean the difference between getting the kids to school on time or not. Worried about the price of garage door opener repair? You can trust our technicians with your garage door opener in Mt. Vernon. We are a part of the Mt. Vernon business community. We take pride in being residents as well. Garage Door Opener Mount Vernon technicians know the streets of Fleetwood, Parkside, and Mt. Vernon Heights quite well. We work on the businesses in the Downtown area as well as residents on both the North and South Sides.